We all know our entrepreneurship lifestyle can at times feel lonely. Our "co-workers" are our computers, planners, long list of to-dos, etc. No matter your personality (introvert/extrovert), community is a vital part of life, however, it doesn't always come naturally - it needs to be cultivated. Below, we will discuss the ways to be proactive about cultivating real authentic community and friendships! What are the activities that you already love doing or wish you made time for? What makes your soul happy?! Write down a list of 10 activities (some old + some new) that you would love to do and then you simply add friends to that mix. Consider inviting your friends to take a walk or hike, or try out a new class you've been interested in. Company always sweetens the experience. Tip: If you are introvert - having a central activity to share in together allows you to build community, all while focusing on a fun activity - not that "what am I going to talk about next?!" feeling. Despite social media, you can't be “besties” with thousands of people at once. Quality over quantity always wins and you only have so much to pour into relationships/community. 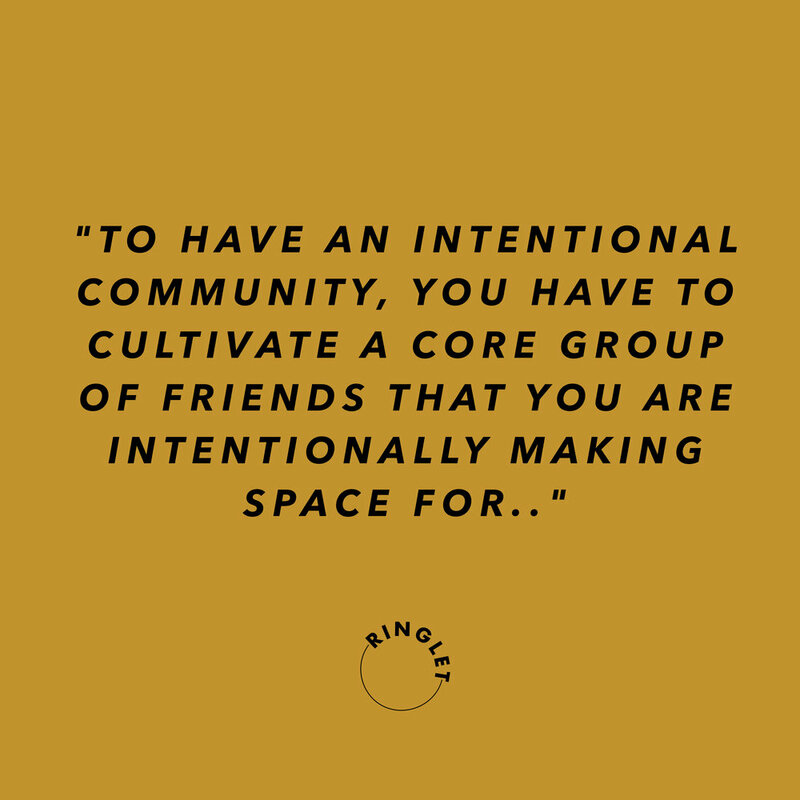 To have an intentional community, you have to cultivate a core group of friends that you are intentionally making space for. 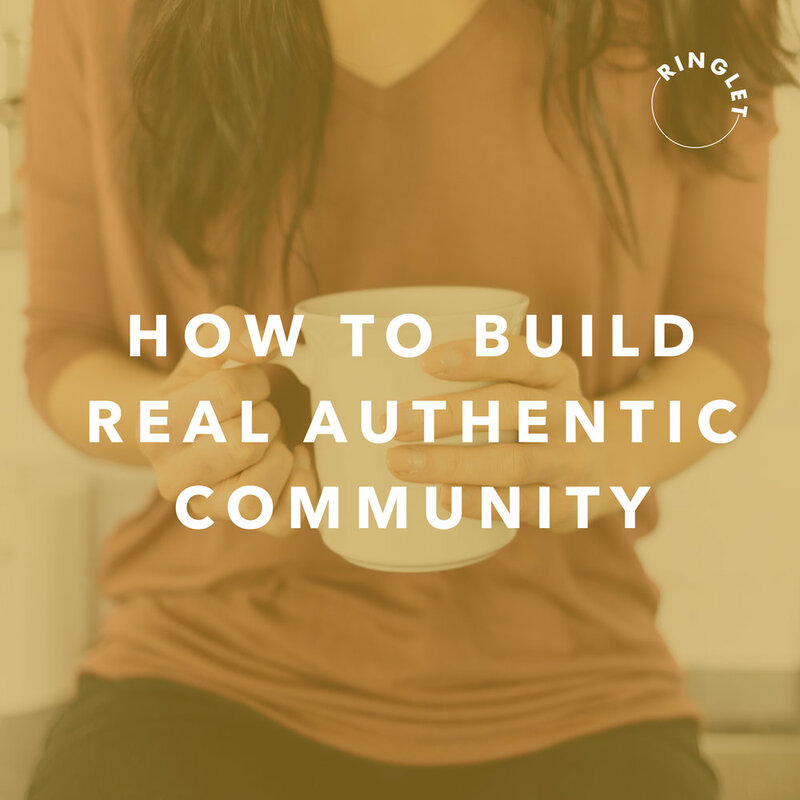 Because really, if you’re out there creating your own brand, odds are you don’t really have time for authentic community with fifty people. A few times a year, I make a list of 15 people to intentionally reach out to—friends near and far away. Making a list helps you put some purpose behind your social calendar and put time into meaningful relationships. It also alleviates that guilty feeling you get for not having a coffee date with every contact in your phone. At the beginning of the month, you can match your list of life-giving activities and your Inner-Circle and plot them on the calendar. You may feel like a crazy person inviting a friend to coffee or to attend a conference weeks in advance. But if you don’t do it, it might never happen. Good intentions can easily diminish beneath the weight of a crowded calendar. Friendships matter. This is how we keep up, follow up, and make it a point to love our community. Don't be afraid to be productive about community + friendships! It' worth making the time for both. Sign up with your email address to receive news, interviews, marketing tips, freebies, laughs, and so much more! !